WDC helped open up whale research in Russia in 1999, building a photo-ID catalogue of Russian orcas as well as a Russian team to study them. FEROP is still going strong today. Shadowed by snow-covered coastal volcanoes, Avacha Gulf on the southeastern coast of the Kamchatka Peninsula is home to more than 700 Russian orcas. 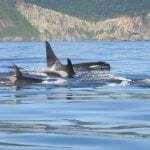 Mostly the resident orcas come to feed on salmon but they also eat mackerel and cod. Orcas also use Avacha Gulf for resting, socializing and giving birth. When the pods join up together, they form into “clubs”. Whales in these clubs gather to establish and maintain social bonds, and they play a role in reproduction, but they don’t feed together. 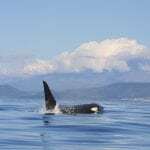 The appearance and structure of the Russian fish-eating killer whale communities resemble the well-known northern and southern Vancouver Island communities and the resident Alaskan communities—but there is no known exchange between any of them. 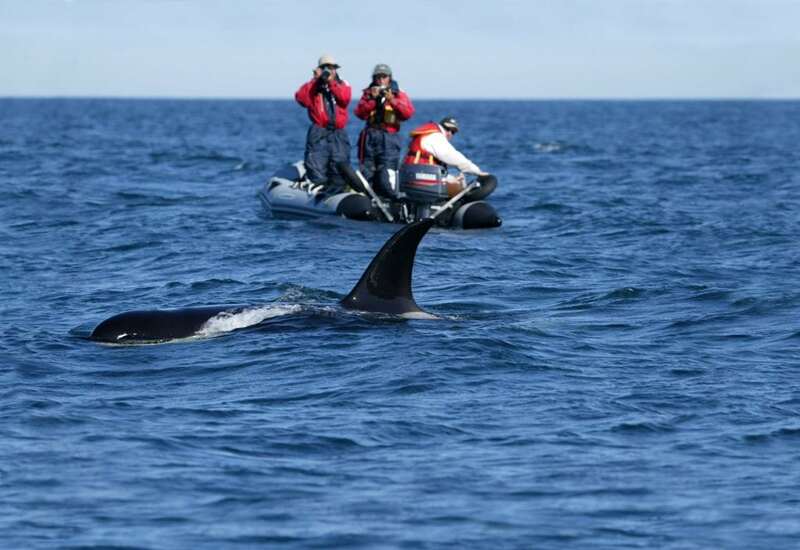 Besides Avacha Gulf, the Russian orca photo-ID catalogue includes about 1,100 orcas around the Commander Islands, located 175km east of Kamchatka. For the entire Russian Far East, the total number of photo IDs stands at more than 2,000 fish-eating orcas and 130 transient mammal-eating orcas. 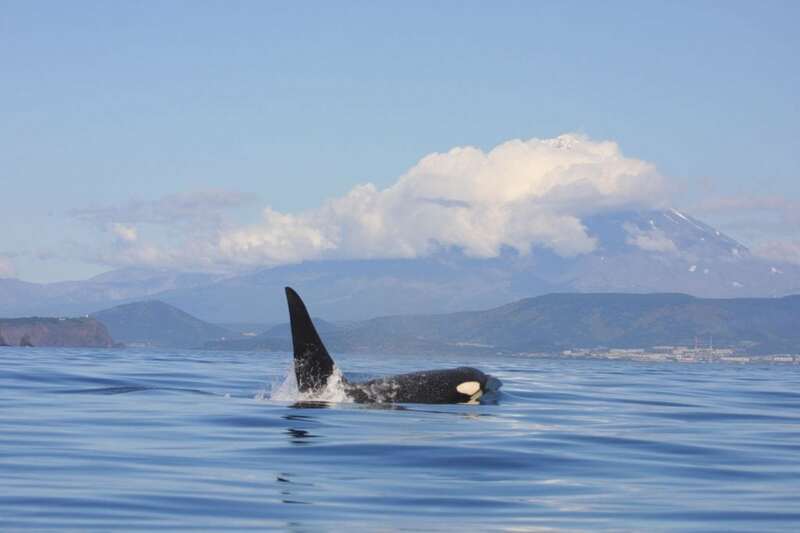 Unlike Avacha Gulf which has a mostly fixed population, the numbers of orcas identified in the Commander Islands are still increasing every year; this suggests a greater number of individuals in this area, which seems to be a crossroads for visiting orcas. In 2003, after FEROP researchers had finished the year’s research, two young female orcas from Hooky’s pod were caught by Russian captors in Avacha Gulf and killed — one suffocating in the nets, the other dying after 13 days in a Black Sea aquarium. FEROP helped to get captures banned from Avacha Gulf. In 2012, however, an industry started up in the Russian Okhotsk Sea, on the other side of Kamchatka, and since then at least 16 transient mammal-eating orcas have been caught and sold to three marine facilities in China and one in Russia. 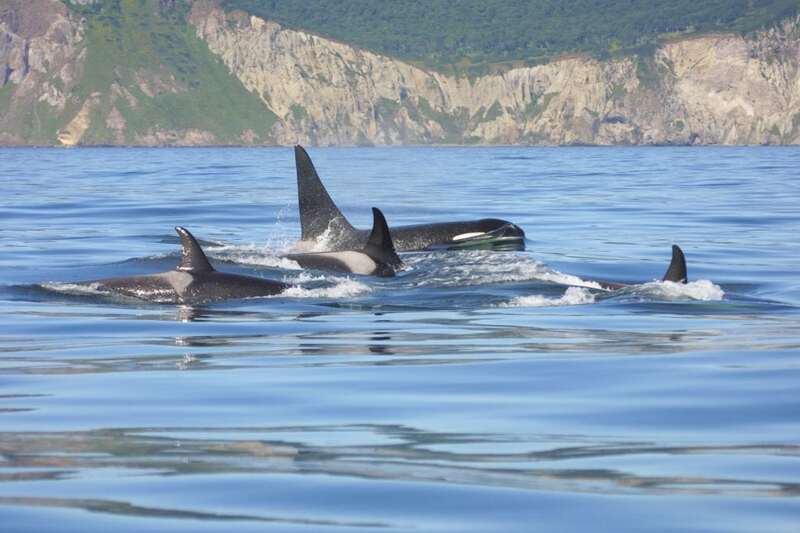 There are no current estimates of the numbers of transient killer whales in the Okhotsk Sea. Russian marine mammal scientists, as well as the International Whaling Commission and various conservation groups, have expressed concerns about the growing number of quotas and permits that are given to capture killer whales without reliable abundance estimates. Today the FEROP work continues with new generations of Russian students, and it has expanded to include studies on humpback whales which have increased in the region in recent years, as well as the first behavioural study of Baird’s beaked whales and starting a catalogue of the rare North Pacific right whales who number only 500 individuals. WDC Research Fellow Erich Hoyt, together with Russian scientists Alexander Burdin, Olga Filatova and Tatiana Ivkovich are responsible for directing the project. FEROP has succeeded in training a generation of young students in photo-ID, acoustic recording and other research techniques, with at least ten students having obtained MSc’s and four students PhDs through the project mostly at Moscow State University and St. Petersburg State University. The FEROP work has been widely reported by BBC News and other publications around the world. The main papers published by the team in international journals can be seen and downloaded on the Russian orca website. FEROP has been partly supported every year by the Animal Welfare Institute, Humane Society International, and the Litowitz Foundation, based in the U.S. British and European sponsors such as the Rufford Foundation, the Sacher Trusts and the Klüh Prize have helped in other years. The continuation of this work depends on your donations. Generation of students have qualified as marine researchers at university. 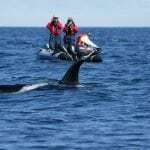 Worldwide coverage of the project and new discoveries about orcas living off the Russian coast. Expansion of the project into other areas and species such as the endangered North Pacific right whale. Visit our species guide to learn more about this species.